← Wait before you hit send. Are those revisions really ready? Very true! The best way to improve as a writer is to just do what writers do best. Write! I would add one more step . . . read everyday. Good one. 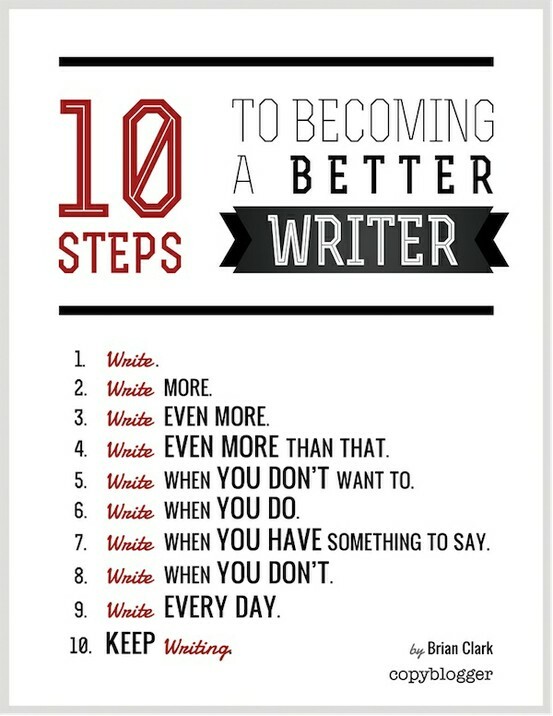 I should do a 10 steps list featuring 10 ways reading helps you as a writer! Love this, Carly! Sometimes writers forget the most important part of their work is the actual nitty gritty work of writing. Ah ha ha ha! I’d saved this email for when I had time to read it carefully.